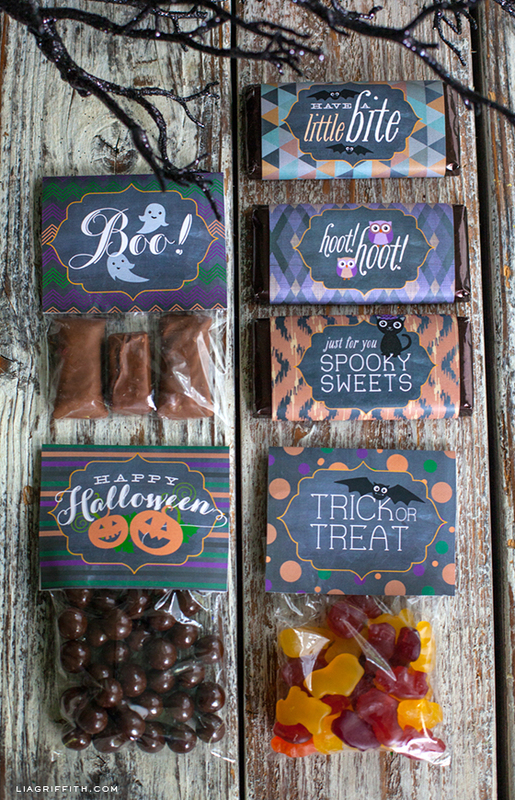 Make These Pretty Halloween Party Decorations and Goody Bags! thank you for sharing Lia! i love all your designs! god bless! Your work is topnotch design! Thank you for sharing your talents. Thanks Michelle! I will keep designing. Lot of goodies in the next few months. I used bags that were 4 inches wide which I matched the tags to, but if yours are wider, you can just fold the ends to fit. Thanks Shirley. I have so much fun designing these things. I’m a new visitor, over from Pleated Poppy and I LOVE your creative ideas. Thank you so much for sharing. 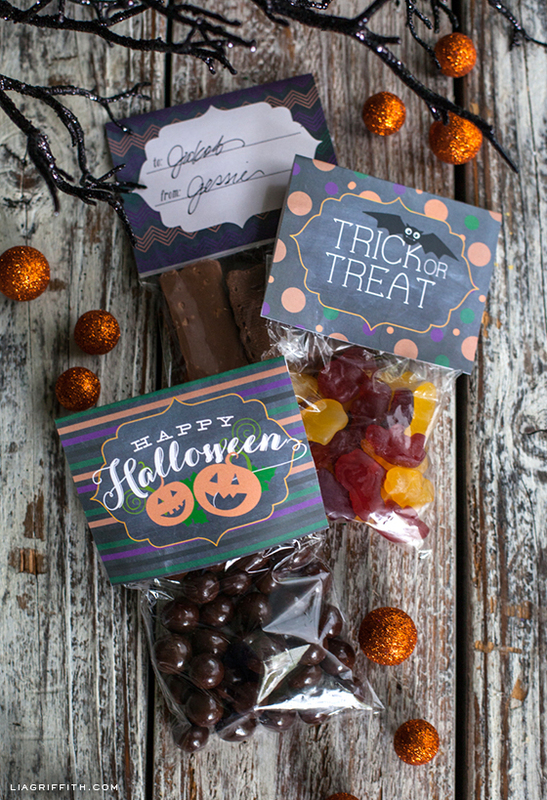 We get a lot of trick or treaters for Halloween and this will be a fun way to make it extra memorable. So happy to meet you Katie! 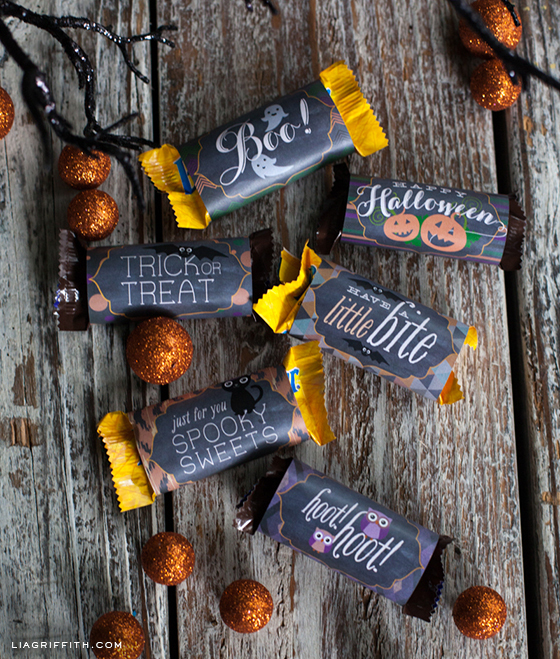 Customized treats! How fun. You really are a lifesaver. Great designs, Lisa. These are so adorable. Great design. Can’t wait to use them. Thanks for sharing!!!! oh how i adore these! you are simply awesome! :>D thank you so much! I am too! 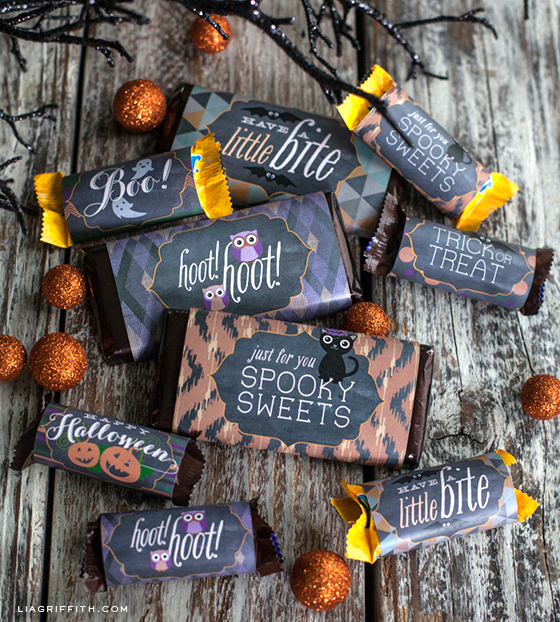 It seemed a perfect fit to design a Halloween set with the chalkboard background too. Oh dear, no Halloween at school!! I remember it being Emily’s favorite day. . . everyone in costume. Good plan for an after school sneak. Maybe you can rally the moms? I just LOVE all of your designs. They are all awesome! Thanks so much for sharing your creations! I know my grands will really enjoy them! You are so welcome Sue!